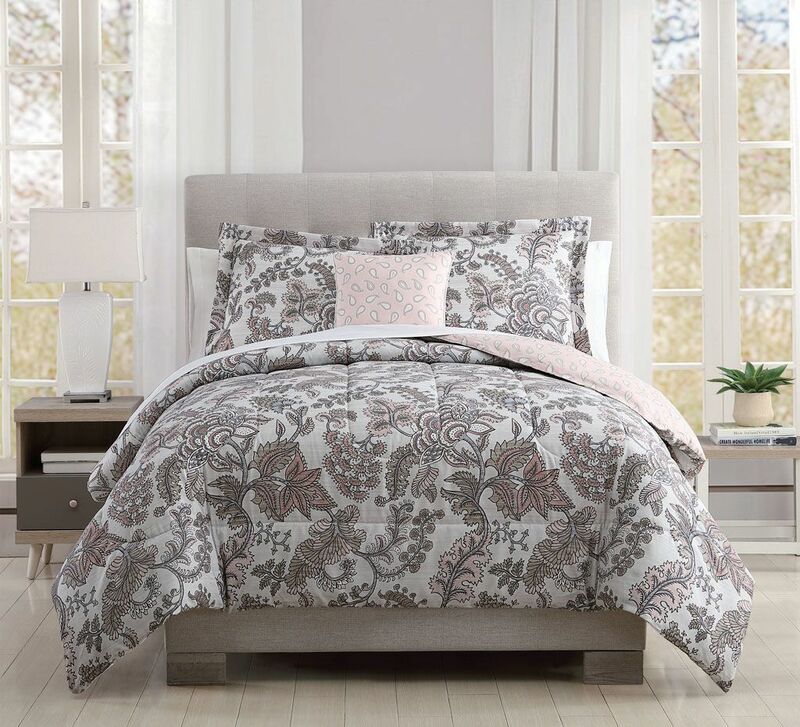 Dress your bedroom in chic style with this Linwood comforter set. Decorated with sophisticated floral motif in blush and white, this beautiful bedding set brings a elegant look to any rooms decor. Matching sheet set included.